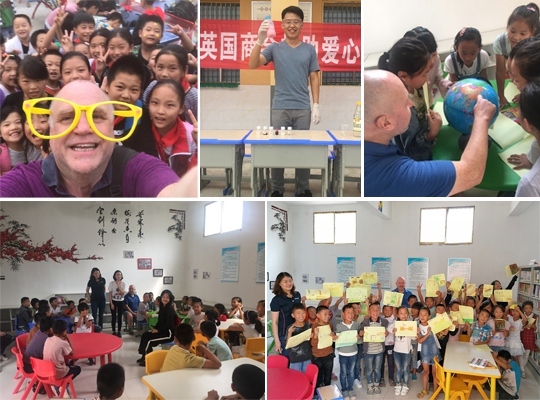 From 20 to 22 September, British Chamber Shanghai staff and volunteers from member companies visited six primary schools in Lixin County, Anhui Province, to provide eye testing for underprivileged children. The delegation also donated three libraries, through the Library Project, to schools in need. Volunteers are from five member companies, they are Dulwich College Shanghai Minhang, Jaguar Land Rover, Quaker Chemical, and The University of Manchester China Centre, as well as individual members. Accompanied by the volunteers, the children enjoyed English and Geography lessons, art class, a series of science experiments, and many other fun games. To view more photos from the visit please click here.